The Methodist Circuit Rider had a difficult life in the early days of Alabama as can be seen by the narrative below. 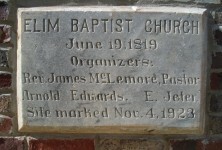 The Methodist church in those early days had only a limited membership, but after the country was laid off in districts and circuits, it increased rapidly in church organizations and membership. They discarded the doctrine of predestination and election. They believed in baptism, either by sprinkling, pouring or immersion, as the applicant desired. They believed in open communion, and extended invitations to all orthodox christians (sic) to the sacramental board. They believed in foreign and domestic missions and were in favor of an educated ministry. The government and usages of the church in that day were about the same as at present. On each of the circuits the members and citizens would construct preaching places, sometimes at school houses, private houses, and when the weather was favorable, under bush arbors. The preachers were expected to preach each day in the week, unless providentially hindered, and they would have a congregation every time. The Conference had a method of doing business, and that was why they were called the Methodist church, and it required hard and faithful labor at the hands of its preachers. Those preachers generally arrived at their appointment about the usual hour. They would dismount from their horses ( there were no buggies in those days), and walk directly into the church, without speaking to anyone, and begin services. As soon as the service was over, there would be a general hand shaking between the preacher and congregation. When the congregation got ready to leave, some brother or friend living in the direction of his next appointment would take him home, give him the best they had, and be glad of his company. The next morning he would go to his next appointment, and so on all around the circuit once a month all the year round. 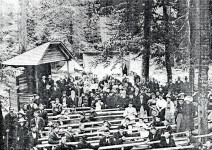 Each one of these preachers received one hundred dollars, appropriated out of the general fund of the conference, for his incidental expenses. If he had a family they were provided for, but the majority of them were single men. If one of these preachers joined the conference, expecting to have an easy time and to be sent where he wanted to go, he was generally disappointed. He had to go where he was sent, and he was expected to go without complaint. There could have no earthly motive for those good men to enter the ministry; their only motive was to do their Master’s will and preach the gospel to the people. Some of those early circuit riders have made great preachers: they have made elders, doctors and bishops. The Methodist church, since that early day, has grown in grace, knowledge and members. It has added member to member, church to church, mission to mission, and has spent millions in extending the cause of christianity (sic) all over the world, and the good work is still going on. This generation of preachers have passed away. Their work was hard; they assisted in organizing and establishing the first churches, and made the work comparatively light for those that were to follow. 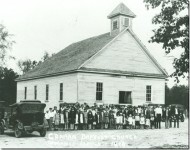 The start of the Baptist church in Jefferson County, by Democrats? Founder of the Christian Church in Alabama? 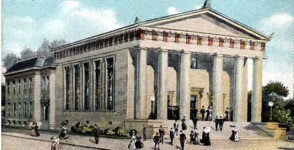 Did you know there were four colleges for females in the 1830s Tuscaloosa, Alabama? Amy Pollick Maybe you’ve seen this, but just in case you have not. My grandfather in the civil war was a circuit rider in Tennessee. He was written about in a book. He was beaten for preaching against slavery. He was a heavy man and they beat him all the way from Athens to Knoxville. A long way. Sherry Potter Chesnut, granddaddy Potter. Thanks for the heads up, Dan! The homespun “Circuit Rider” offered late-night life lessons. Late-night television viewers of a certain age may not know William R. Livermon, who died on May 16, 1992. But they may remember him as “The Circuit Rider,” who rode into Central Virginia living rooms for years on WWBT-TV 12 after “Saturday Night Live” and just before sign-off. “Dad said because of his life he considered himself an expert on sin,” says his son Robert Livermon, adding that was the exact audience that “The Circuit Rider” broadcast sought on the late-night airwaves. 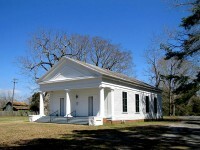 After appointments in Patrick County and Richmond (where he served as associate pastor at Reveille United Methodist Church), the Livermons moved to Mathews County in 1967, where he ministered numerous churches and raised three sons, William Jr., Robert and Garry, now of Midlothian, Powhatan and Gloucester, respectively. A life-long horse enthusiast with a gift of gab, the preacher borrowed 16-year-old Justice from a friend around 1968 and enjoyed riding the horse so much he “knew he had to do something worthwhile” with him. Direct Justice (his full name) really did pace the racetrack, winning one race at Harrington, N.J., as a standard bred harness racer before he retired after an injury. “Most anybody will stop and look at a good horse,” Livermon said in 1979. Going home-to-home by way of television was not unlike the routes traveled by early circuit ministers like his grandfather, Joshua Leigh Garrett. Livermon decided to create his own filmed sermons, called “Justice and the Circuit Rider,” to be shown on local TV stations. He converted an old bread truck into a camper and in 1971 searched the East Coast for an affordable cinematographer. The J. Walter Thompson ad agency in New York City disagreed, telling him that he should keep his rough-hewn format “as is”; that a professional would “edit the corn out” of his homespun wisdom. Frustrated also by the $50-per-hour fee charged by a Virginia professional, Thelma assumed the multiple roles of camera person, editor and director of the sermonettes, saying she “did a lot of praying” about her now-permanent roles. 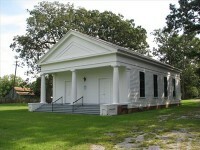 Ronnie Broadus, organist at Mathews Chapel, recorded the “glory, glory hallelujah” organ chorus of “The Battle Hymn of the Republic” for the intro. The first “Circuit Rider” segments in 1971 were sponsored by Ukrop’s and Poquoson Motors (now Pomoco Nissan) of Hampton, and appeared at 8:55 a.m. on Hampton’s WVEC-TV 13. Soon after that WSLS-TV 10 in Roanoke offered Livermon free air time early Sunday morning to fulfill a Federal Communications Commission public service quota. Livermon preferred the early morning time slot, knowing that was when the “drunks, dope addicts and college students” were probably watching. Spurred by his success in Roanoke, Livermon carried the filmed segments directly to other station managers in his bread truck, asking if they had four minutes to spare a country preacher in the early Sunday morning. The marketing worked — by 1978 the Circuit Rider was on 12 stations across Virginia and the Carolinas and more than 50 cable outlets. These televised messages were down-to-earth and matter of fact, using objects from nature taken from Livermon’s saddlebag. As his popularity surged it became a Saturday night game in college dorms to guess what the Circuit Rider would take out to tell his life lesson, including a bumblebee (tied to the saddlebag with black sewing thread), a ladybug and a “gee-haw wimmy-diddle,” an old children’s toy. Livermon did not appeal for money. He also didn’t identify his denomination or his own name. 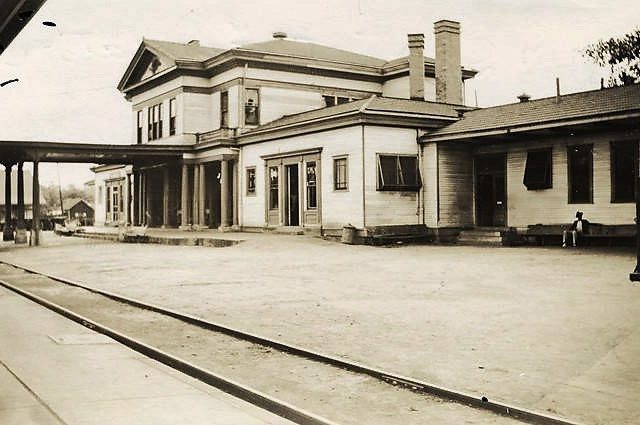 Yet he received hundreds of letters, some from as far away as Southern California and Seattle, from those who took comfort in the unscripted and unsophisticated messages. He answered every letter with assistance from a Mathews Chapel ministerial candidate, even those expressing anger at his sudden intrusion into their early morning dose of edgy comedy. By the early 1980s, after about 60 filmed segments, the Circuit Rider disappeared; cable news, syndicated programming and infomercials filled the late-night hours, nudging out the homespun message of an easygoing everyman from Virginia’s Middle Peninsula. But the episodes are taking on new life in a DVD the family has assembled. 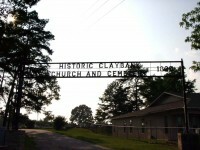 After the program, Livermon continued as a pastor, serving in Powhatan and Lynchburg before retiring in 1984 to Gwynn’s Island (his son Garry is a pastor in Ordinary). 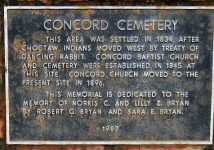 The Circuit Rider died of an abdominal aneurysm on May 16, 1992, and is buried in Gwynn’s Island Cemetery in Mathews County. Cameraperson and director Thelma survived her husband and lives in an assisted living community in Richmond. William Jr., Robert and Garry Livermon all agree that their father’s work was a culmination of his talents, resources and life story, perfectly suited for the time period, before subtle, homemade religious messages “with corn” went out of vogue. The films themselves — sitting in cans at the Midlothian home of William Jr. — may seem like quaint relics of a bygone era, but the messages, delivered in the soothing, inimitable style of a country preacher, are still fresh and relevant. And fondly recalled. 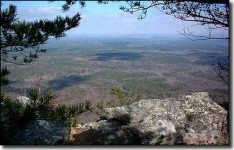 UPDATE: William Jr. died October 15, 2011 and Thelma, wife of “The Circuit Rider” died December 2, 2011. Wow, now there’s a novel waiting to be written. There is grave at Pine Grove United Methodist church Leroy, Al. 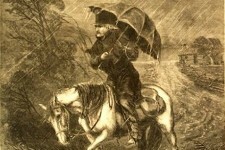 of circuit rider and his horse!!! My Dad was a UM minister for 47 years! His first churches were on a circuit in South Alabama! Nurseries were not part of these churches! As toddlers, my sister and I attended church 3-4 times on Sunday— and we behaved! 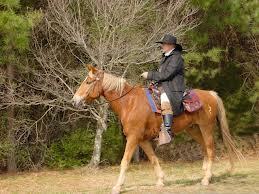 There was a circuit rider in eastern Kentucky (I don’t know what denomination), and he kept a diary of everywhere he went and who he talked to. Listed people’s relatives. The John J Dickey diaries were very useful to genealogists who researched the area. He mentions many of my wife’s ancestors from back in the early 1800’s. I appreciate all of your posts, although I don’t see many regarding the southern part of the state. Got anything on early Coffee or Dale Counties? Yes, please! My gggrandfather was the first doctor in Dale County, Dr. James J. Bottoms and can’t find much information on him. $100 was allot of money back then. I had two such methodist ministers in my family: Rev. Zachariah Starnes/Stearnes, Talbot Co., GA and his nephew, Rev. Paul Fisher Starnes/Stearns, Camden Co., AL. My Great grand dad was a methodist circuit rider. I have his bible. 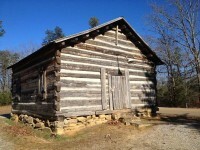 Please post more about Andrews Chapel, the old log church in McIntosh Alabama, built in 1858. My ancestors were circuit riders. I shared this post. I live close to a pioneer Methodist church, which is still open to the public…looking just as it did in olden days. There’s also a well-kept old cemetery. Being Methodist, I really love knowing it’s there. Where is this Methodist Church? My 3 times great grandfather Joshua Calloway was a circuit rider on the Sepulga Charge. My great great great grandfather Daniel Drury Powell come to Alabama as a methidist circuit rider in 1812. Sent by bishop Frances Ashbury front South Carolina. 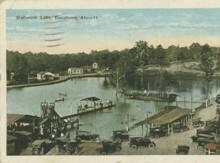 Settled at Wilson Hill ,near what is now Montevallo. Do you have a source for the map of the circuit rider districts? And the individuals who Covered each district? That’s a good question and look forward to someone, hopefully, answering it. I have a gggrandfather listed in an 1850 census as a CP. My stonewall, as he died soon after the census. This glimpse into his life is much appreciated. 3rd Great Uncle Thomas Benton Parker was one. in Lawrence Co area after the War.